Home » Living Room » Don’t let Black Friday land you in debt! Christmas is on the horizon and, understandably, many people will be out bargain hunting on Black Friday. 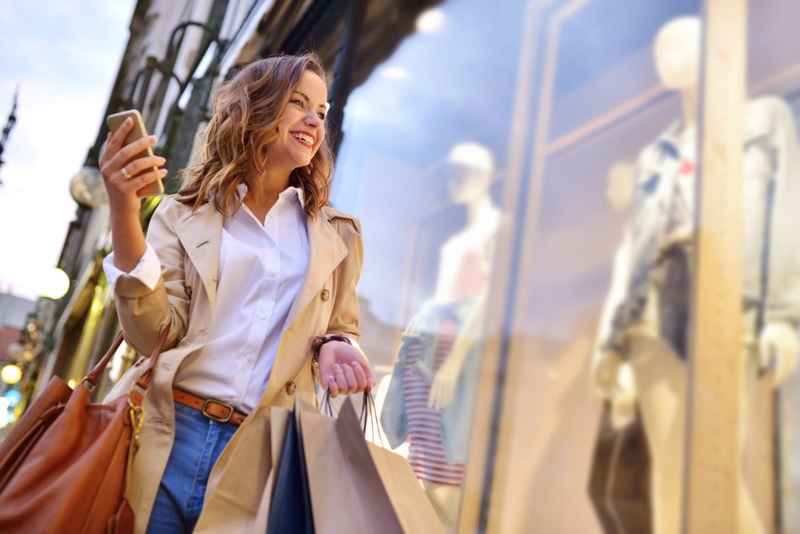 With all of the hype surrounding Black Friday, and Christmas on the way, it’s easy to get caught up in the frenzy and go a bit crazy with your spending. After all, you’re getting yourself a bargain, right? Whilst this is true in some cases, Black Friday may not be all it’s cracked up to be in others. Last year a survey done by Which? found that 87% of the items it tracked during Black Friday were cheaper at other times of the year than they were on Black Friday. *** The survey was done on 94 popular tech, home and personal care products which you’ll know, if you’re a regular Black Friday buyer, are some of the most (seemingly) heavily discounted items put on sale during Black Friday. So, it’s clear that some stores take advantage of the Black Friday craze to sell items at a price that won’t really save you much money at all. This is important to remember when buying more expensive items, especially if you’re tempted to eat into an overdraft or borrowing money from other sources to splash out. Whether you’re shopping online or hitting the high street, one sure-fire way to ensure you’ll get the most for your money is by starting early. You could even start before Black Friday actually begins if you’re shopping online; add the items you want to your basket on Thursday so they won’t be out of stock on the day – the prices will automatically update when you return to your basket. You can download a variety of Black Friday apps to your phone which can help you to get the best bargains possible with little fuss. Apps like Black Friday Deals compare prices from all the big UK retailers like Tesco, Argos and Boots, as well as online shopping destinations like Amazon. It’s free to download too! Make sure all your bills are sorted and you have a budget. Work out what you can afford to spend on Black Friday, and don’t budge from it. However great the temptation may be to splurge your cash, you might end up regretting it in the New Year if you have to scrimp your way out of debt. As we know, some Black Friday deals might not be as cheap as we’re led to believe. Rather than impulse buying because you think you’re getting a great deal, do your research beforehand to make sure you’re getting the best prices possible. Checking online for comparison prices on items can save you a great deal of cash if you’re going to be buying multiple items, and you might find that some deals can be even cheaper at places you hadn’t initially even thought of shopping at. If you’re having trouble with your finances this Black Friday, we can help you overcome your debts. Why not get online help now or give us a call today to see how we can help with your finances? We offer a free, non-judgmental advice service and will be happy to talk to you.